Accelerade Hydro is 80% sugar and virtually no complex carbohydrates, this greatly increases the risk of blood sugar spikes and the dreaded BONK. e-Fuel on the other hand has very low sugar levels.Accelerade’s claim to fame is the addition of protein in a 4:1 ratio of carbohydrates to protein. 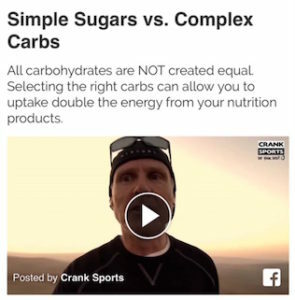 The company funded research that suggests that the addition of protein is beneficial, but independent research has shown that these claims have no merit. Protein in your sports drink DOES NOT boost performance (see links below for additional information).